J.D. 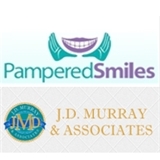 Murray DDS & Associates & Pampered Smiles (Atlanta) - Book Appointment Online! Welcome to Our Offices! Families in the Atlanta and College Park, GA communities have come to trust Pampered Smiles and JD Murray and Associates, PC to take care of all their dental needs. Our patients come to us because they know they are going to receive the best care possible, and they know we will do whatever it takes to make sure they have a wonderful dental experience. Dr. Joseph Murray and Dr. William Alexander not only focus on your teeth, but also the holistic health of your entire body. We have a strong commitment to our patients’ comfort, hygiene, and satisfaction with the care they receive. Our team treats our patients like family, giving them the same respect and treatment care we would our parents, spouses, and children.